Today is an amazing day at Hero. 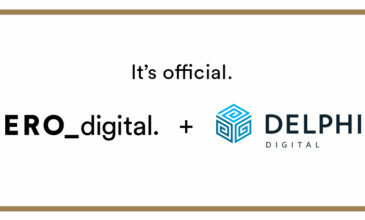 We’ve announced the acquisition of Delphic Digital, a customer experience (CX) agency located in Philadelphia. With this, we embark on the next chapter in our company’s journey – and we now get to do it with nearly 200 of the best minds in CX, working together a single team. It’s an exciting moment, as we embark on delivering even more incredible digital experiences to customers nationally. It gives me great faith in the future we have chosen, which is to create the strongest independent CX firm in North America. It’s also a fun moment, since it’s not every day that we can welcome an 80-person firm, especially one with such a similar DNA and ethos. We work hard at Hero. Day to day, this means we focus our energy, our creativity, and our inspiration on our customers. We have been ambitious in building a company that can truly deliver on improving the CX for brands across industries using the best platforms and emerging technologies. 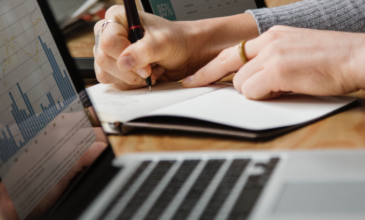 In the CX world, you can’t just rest on your laurels as it’s a new domain, one that changes often, and requires a mix of skills that rarely coalesces under one roof. Throughout Hero’s history, we have primarily grown by hiring the best people we can find. We have invested mightily in building the company person-by-person, since we believe that the care and service-first approach our people provide to our customers drives the best outcomes for them. When I met the team at Delphic, I quickly realized we had the same approach to customer success, which signaled a clear opportunity to join forces. Mark Patten and Lance Hollander, the leaders of Delphic, impressed me from the first meeting with the agency services they’d assembled, their impressive work and industry accolades, and their point-of-view on what our customers will need in the years to come. Upon meeting the broader Delphic team and seeing their skills across CX disciplines, I was further impressed and knew we’d found a partner who would fundamentally fit, and who would be as excited as our own team about building a truly special company. Hero and Delphic together form a powerful yet independent CX company. Our customers will benefit from the broader set of skills, the greater horsepower, and the nimbleness we will bring to them. And for our future customers, we are creating a CX agency with the breadth of skills of larger firms like SapientRazorfish – but with the service intimacy that can only be found in a practitioner-led environment where an agency principal sponsors every project. I believe customers get the best outcomes from teams that work this way, and my passion is to define this model for the CX industry. We’re thrilled to welcome the Delphic team – an unrivaled group of talented CX practitioners (and great people) into Hero. Personally, I am humbled and grateful the Delphic team has joined us. We have an incredible opportunity to work together, to bring better experiences to our customers, and to challenge our competitors. I know I will personally learn a great deal by working side by side with the Delphic team. Throughout my own life I have always chosen the path with the greatest learning and the greatest possibility. This is an exciting step for me, and for Hero. It is my great honor to welcome the Delphic team to Hero Digital.